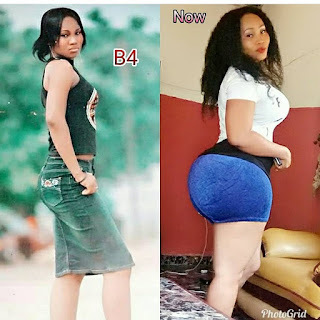 This young Nigerian lady's BEFORE and AFTER transformation photo has been making tongues to wagged. 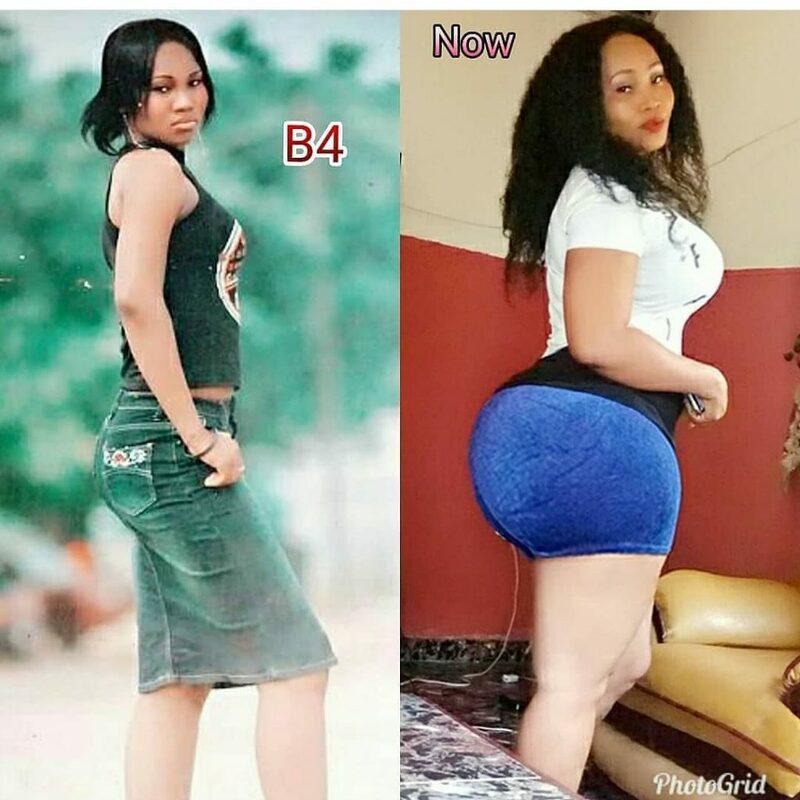 From slender to a very curvaceous lady. Some netizens claims she did surgery while other feel it’s just natural.